BookTalk.org - View topic - Haruki Murakami - HIS NEW NOVEL! Haruki Murakami - HIS NEW NOVEL! I sounds like another great magical realism thrill ride! I can't wait to get my copy. Are you as excited about it as I am? You are if you're a big Murakami fan like I am. Re: Haruki Murakami - HIS NEW NOVEL! Well, I think that they are all great. I enjoy the way he maneuvers the reader through the story; the way he presents the odd (magical realism) into the realistic. He is an artist before he is a writer in my book. It has been a while since the release date, so I wonder if anyone has read this book and write a quick review. I know it's better for a newbie like me to start with his well-known releases, but I want to try a different approach. This kind of fantasy setting is a style I usually like, so it feels just right! I'm reading his new novel now. I've read 5 of his novels so far, and have all his novels. 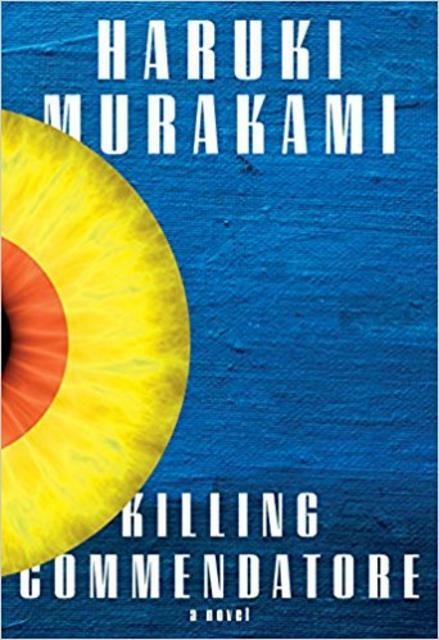 So, I've read Wind Up Bird Chronicle, 1Q84, Sputnik Sweetheart, Colorless Tazaki, Norwegian Wood and now Killing. I have to say that my favorite so far is a tie between Sputnik and 1Q84, but I've read Tazaki three times. I am enjoying Killing, though only through the first 100 pages so far. I'll go into a more thoughtful discussion of Sputnik and 1Q84 later. Most of the Killing Commendatore available in our local bookstore are hardbound and I'm still waiting for a paperback copy just like with his Men without Women.